This study of children's literature as knowledge, culture, and social foundation bridges the gap between science and literature and examines the interconnectedness of fiction and reality as a two-way road. The book investigates how the civilized narrative orders experience by means of segregation, domestication, breeding, and extermination, arguing instead that the stories and narratives of wilderness project chaos and infinite possibilities for experiencing the world through a diverse community of life. AbdelRahim engages these narratives in a dialogue with each other and traces their expression in the various disciplines and books written for both children and adults, analyzing the manifestation of fictional narratives in real life. 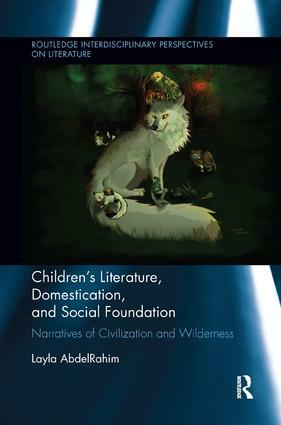 This is both an inter- and multi-disciplinary endeavor that is reflected in the combination of research methods drawn from anthropology and literary studies as well as in the tracing of the narratives of order and chaos, or civilization and wilderness, in children's literature and our world. Chapters compare and contrast fictional children's books that offer different real-world socio-economic paradigms, such as A.A. Milne's Winnie-the-Pooh projecting a civilized monarcho-capitalist world, Nikolai Nosov's trilogy on The Adventures of Dunno and Friends presenting the challenges and feats of an anarcho-socialist society in evolution from primitivism towards technology, and Tove Jansson's Moominbooks depicting the harmony of anarchy, chaos, and wildness. AbdelRahim examines the construction, transmission, and acquisition of knowledge in children’s literature by visiting the very nature of literature, culture, and language and the civilized structures that domesticate the world. She brings radically new perspectives to the knowledge, culture, and construction of human beings, making an invaluable contribution to a wide range of disciplines and for those engaged in revolutionizing contemporary debates on the nature of knowledge, human identity, and the world. Layla AbdelRahim is an anthropologist, author, researcher, and public speaker. She is the author of Wild Children – Domesticated Dreams: Civilization and the Birth of Education (2013).